The best health care you can give yourself is to take care of your body especially the teeth. The teeth is an important part of the body based on its functions and that is why we must keep the teeth clean and healthy always. Keeping the teeth clean ensures no diseases can be contact either as a teenager, kid or grown up adult. If you experience any diseases relating to tooth decay or swollen tooth, then you will know how important it is to keep the teeth clean and healthy. 1. Use Soft Tooth Brush: You can keep your teeth clean by avoiding hard tooth brush which may harm the gums. Soft tooth brush ensure your teeth is clean, free of germs and no wounds resulted during the cleaning process. 2. Use Fluoride Tooth Paste: Another way you can actually take care of the teeth is to use tooth paste that contains fluoride. Fluoride is a powerful substance that fight against bacteria, germs and keep the teeth as white as possible. Just make sure your teeth is kept clean by using a tooth paste that contains fluoride. 3. Avoid Sharp object: one of the best way to keep your teeth healthy is to avoid using sharp object before or after meal. Some people will use sharp object to pick or clean their teeth after meal which may result to injuries and blood and later the gum affected. 4. Avoid Excess Sweet/Gums: Especially for children, please teach them to avoid eating excess sweet and chewing gum. Chewing as a kid is too dangerous for the health in children because their teeth is still not as mature and those stuffs can begin to create space for bacteria to hide and develop. Read Also - Reasons to eat natural vitamin c daily. 5. 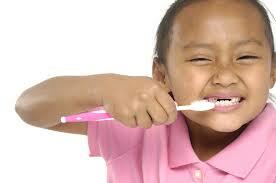 Brush Regularly: For the sake of the health, you need to brush your teeth as many times as possible even after meal. Brushing your teeth multiple times per day helps the teeth stay healthy, clean and strong. It will prevent any form of micro-organism from hiding in it which gives fresh breath. 6. Eat Calcium Foods: Foods rich in calcium are very good for the teeth because it keeps the teeth strong. Examples includes fish bones, biscuit bones, soft bones, sea foods etc. 7. Brush Gently: The best way to brush the teeth is to brush it gently and no the common do or die way of brushing the teeth. If you brush the teeth too hard, i can result to wounds which create discomfort at any level. Do these things and you will be keeping your health safe, teeth clean and all diseases relating to teeth decay or problems will never surface. Thanks for reading.